Connecticut Humanities is proud to work with many partners across the state in furthering our mission and vision. The National Endowment for the Humanities (NEH) has been a key funding partner for Connecticut Humanities since our founding in 1974. As one of a network of 56 state and territory affiliates of NEH, we receive critical operating and programming support in ongoing three-year allocations. NEH also offers a variety of special granting programs, and in 2016 CTH received a “Humanities and the Legacy of Race and Ethnicity in the United States” grant, which has allowed us to develop a series of community-based discussion programs around the state. “At Issue” will launch in 2017 with the support of this special grant. The NEH is an independent federal agency created by Congress in 1965 that serves and strengthens our republic by promoting excellence in the humanities and conveying the lessons of history to all Americans. The General Assembly of the state of Connecticut has provided significant funding to CTH for many years with a legislative appropriation through the Department of Economic and Community Development. Thanks to these public funds we were able to award competitive grants to the state’s museums, libraries and other nonprofit cultural institutions. Although the appropriation was not awarded for FY2016-17, we continue to work closely with the Department of Economic and Community Development and the Department of Education on collaborative statewide initiatives that preserve, promote and deliver Connecticut’s rich cultural heritage. Connecticut Humanities works with the Hartford Foundation for Public Giving to provide grants to heritage organizations within the foundation’s 29-town area. These small grants leverage other funds and provide heritage organizations with the capacity to improve their operations and offer public programs. Founded in 1925, the HFPG is the state’s largest community foundation, providing grants in the areas of arts and culture, education, children, youth, family and social services. Under a series of grants from NewAlliance Foundation, CTH has supported their READy for the Grade initiative to help kindergarteners through third graders maintain reading skills away from the classroom. Through our Book Voyagers program we continue to serve communities throughout the Foundation’s service area. In 2014 the NewAlliance Foundation chose The Great Connecticut Caper as one of its 10 for 10 projects in honor of the foundation’s 10th anniversary. The Caper was written and illustrated through this grant, and subsequently was published online, as an audio book and in hard-cover format. The Ensworth Charitable Trust recently awarded a grant to support Book Voyagers in the Greater Hartford region. The SBM Charitable Foundation is committed to bettering the lives of those who live and work predominantly East of the River in Hartford, Tolland, and Windham Counties. The SBM Charitable Foundation made a grant to Connecticut Humanities to expand Poetry Out Loud in schools located east of the river. Poetry Out Loud is a recitation competition for high school students that is managed by Connecticut Humanities in partnership with the Connecticut Office of the Arts. The Ellen Jeanne Memorial Charitable Trust awarded a grant to support Poetry Out Loud in 2017. The Trust supports education, arts and culture and is helping to bring Poetry Out Loud to a record forty-eight schools this year. This recitation competition for high school students is managed by Connecticut Humanities in partnership with the Connecticut Office of the Arts. The George A. and Grace L. Long Foundation is supporting Book Voyagers in urban communities in the southeast region of the state. This grant will enable Connecticut Humanities to fill the growing demand for this youth literature program that encourages reading for pleasure and meaning. Participants receive their own books to help establish their own home libraries and family reading is supported through this unique, engaging program. Connecticut Humanities actively seeks and receives substantial grants to support special initiatives and programs. These grants enable us to design and deliver new programs and extend our grant-making capacity. Connecticut Humanities is pleased to co-publish Connecticut Explored magazine. Established in 2002 as the Hog River Journal, the magazine is the only publication dedicated to exploring the state’s heritage through well-researched articles of broad public interest. Supporting the magazine is a natural fit for our work that focuses on exploring historical perspectives, and the publication helps promote the organizations that receive CTH grants. The partnership also facilitates broader distribution of Connecticut Explored content through the publication of selected articles on our ConnecticutHistory.org website. 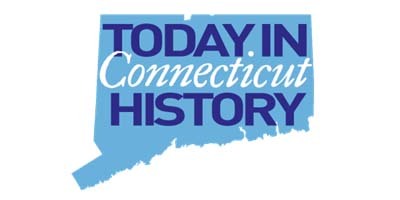 Connecticut Humanities and the Office of the State Historian of Connecticut are partnering in the production of the popular and fast-growing program TODAYINCTHISTORY.COM. Through daily short informational messages on Connecticut Public Radio, and longer text-image-and-audio stories at the website TODAYINCTHISTORY.com, Connecticans are given day-to-day insights into the surprising, amazing, interesting, innovative, transforming, and teachable events that have made the nation’s third oldest and third-smallest state geographically one of the most interesting and important historically. Each of the website’s daily entries contains striking images, brief, readable stories explaining what happened that day and its larger significance, and links to sources that provide further information. Connecticut Humanities’ support for Connecticut History Day helps nurture the next generation of young historians and introduces them to the resources of the state’s museums, libraries and historical societies. History Day is a national program designed to engage middle and high school students in historic research and presentation. Coordinated in our state by Connecticut’s Old State House, the academic competition encourages students to explore local, state, national and world history. After selecting a historical topic that relates to an annual theme, students conduct extensive research using libraries, archives, museums and oral history interviews, and create final projects to present their work. Connecticut Humanities’ work with the Connecticut League of History Organizations (CLHO) dates back many years and aligns with our goal of helping the state’s cultural institutions connect effectively with the communities they serve. CLHO is a membership organization that creates connections among those who preserve and share the stories and objects of our past. We partner with CLHO to offer professional development programs like STEPS-CT as well as workshops for the staff, board members and volunteers of the state’s heritage organizations. We also work together developing educational materials to promote visitation to local heritage museums and sites. CLHO and Connecticut Humanities are strong advocacy partners and work together to promote the vital role the humanities and heritage fields play in our communities and schools. Connecticut Humanities is pleased to be working with the national Center for the Book at the Library of Congress as home of the center in Connecticut. Created by the U.S. Congress in 1977, the center is the national coordinator for a network of state centers promoting reading and literacy to Americans of every age.Connecticut Humanities also partners with the Library of Congress to bring the Center for the Book to our state, promoting books, reading, literacy and libraries through a website and literature-based programs. Our new Connecticut Center for the Book website is brimming with information about Connecticut authors, book and literature events, and resources for readers and writers of all ages. ConnecticutHistory.org, a program of Connecticut Humanities, is collaborating with the Connecticut League of History Organizations, the Connecticut Council for the Social Studies, the Connecticut Public Affairs Network and the Connecticut State Library to develop and distribute inquiry‐based activities and digital primary‐source “treasure chests” that will be featured in workshops for educators. The activities, resources, and workshops will use the Library of Congress’s digital primary‐source collections augmented by local primary sources held in Connecticut’s history museums, libraries, and archives. The thematic focus is on our state’s role in World War One. Connecticut Humanities has been affiliated with Wesleyan University since our founding in 1974. Wesleyan provided on-campus space during our early years and continues to provide critical operational support in the areas of benefits management, payroll and human resources. One of the top liberal arts schools in the nation, Wesleyan offers its 2,800 full-time undergraduates and 200 graduate students instruction in 47 major fields of study and awards bachelor of arts and graduate degrees. The Wesleyan Center for the Humanities is one of the oldest humanities institutes in the United States. In 2016 Connecticut Humanities entered into an agreement with the DECD/SHPO to offer programs, small grants, digital resources and promotional support to further the importance of historic preservation in our state. The State Historic Preservation Office (SHPO) is responsible for overseeing the governmental program of historic preservation for Connecticut’s citizens. In 2011 SHPO was merged into the Department of Economic and Community Development, providing new opportunities for collaboration on restoration and community revitalization. SHPO administers a range of federal and state programs that identify, register and protect the buildings, sites, structures, districts and objects that comprise Connecticut’s cultural heritage.